D&K Receives Three Awards for Engineering Excellence - DuBois & King, Inc.
Winning projects entered into the annual ACEC-VT Engineering Excellence Awards competition were announced at the Engineering Excellence Awards dinner in South Burlington, Vermont on Friday, February 24. DuBois & King was recognized with two Grand Awards and one Merit Award. In the Transportation category, D&K received a Grand Award for the Ryegate Structure Replacement Design-Build project. In the Water Resources category, D&K received a Grand Award for the Lake Fairlee Rehabilitation project. The firm’s Randolph Wastewater Treatment Facility Process Conversion project received a Merit Award in the Environmental category. For years, deteriorated, undersized culverts contributed to flooding of US Route 5 and jeopardized the integrity of the roadway and Washington County Railroad (WACR) embankments. 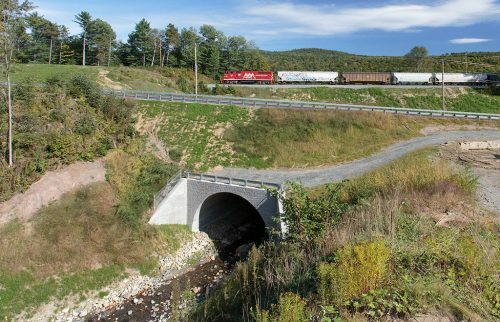 Working with VTrans, the design-build team of DuBois & King and Engineers Construction, Inc., designed and constructed 32-ft-wide by 16-ft-high, cast-in-place, reinforced concrete arch structures beneath US Route 5 and the rail line to convey Manchester Brook beneath the embankments. 70-ft-deep braced excavations were required to construct the new 144-ft and 128-ft-long structures. A curved section open to daylight connected the two buried structures. The total length of the structure is 330 ft. The new structure improved hydraulic capacity by 25 times. Temporary bridges maintained rail and roadway traffic during construction. The Lake Fairlee dam has impounded the 427-acre lake for over 75 years. The low-hazard dam was found to be in a progressive state of failure for more than 40 years and the three abutting municipalities became concerned about potential loss of revenue from declining lakefront property values, should the dam fail. Complicating factors included the presence of a camp located on top of the dam and the likelihood that a complete failure of the dam would negate the possibility of reconstruction, due to current regulations. An in-kind replacement to the existing structure would change the dam’s classification to high-hazard because the camp used the dam as its foundation. 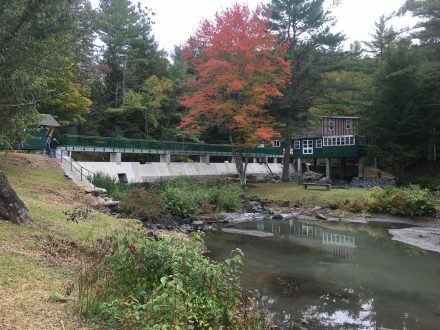 The “permit-able” concept required design and construction of two separate structures: a new pier and wall foundation for the camp and a new cast-in-place concrete gravity dam which also functions as support for a new walkway to the camp. The project resulted in the construction of the only new non-snowmaking dam in Vermont in recent memory and the preservation of property values and a regional recreational resource. 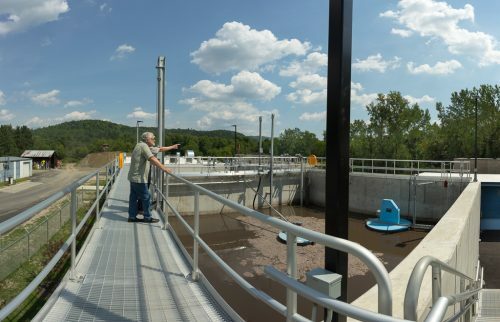 The 40-year old Randolph Wastewater Treatment Facility, originally designed for a 20-year service life, was past due for a total treatment process change and facility upgrade. Project objectives included: state-of-the-art treatment process upgrade, design capacity for nitrogen removal, improve operations efficiencies and reduce operating costs, address issues with the location in a floodplain, and develop a demonstration facility that could be accessible for educational purposes. The activated sludge treatment process was updated with sequencing batch reactor (SBR) technology and the treatment process was designed with the capability of meeting a total nitrogen limit of 7.0mg/l requirements. Existing facility buildings were repurposed and flood proofed saving project costs and preventing future damage from flooding. A completely overhauled SCADA controls system was designed for operational efficiencies. The facility was designed for ADA compatibility and accommodates tour groups from regional educational institutions. Wastewater treatment capabilities had to be maintained during construction and sequencing of construction activities were developed to allow the treatment process to continue without interruption.